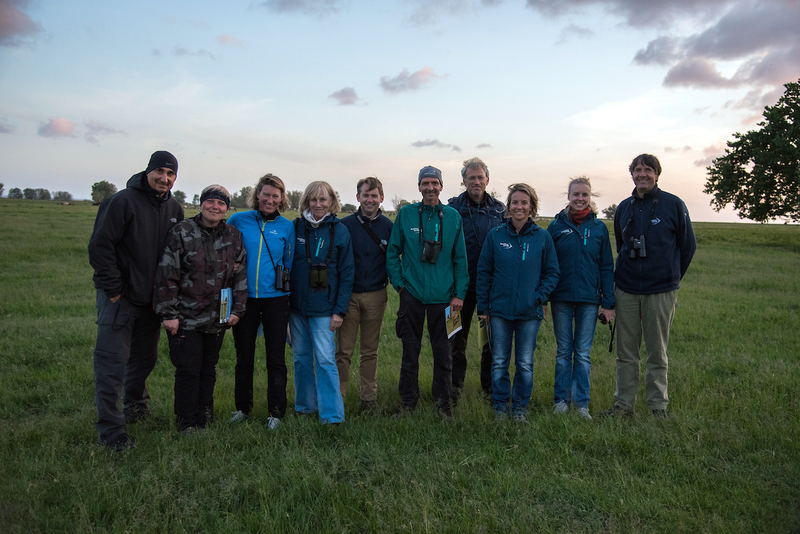 Rewilding Europe supervisory board, central team and Oder Delta team during field visit to the Oder Delta rewilding area. During the Wild Ways event in Amsterdam in mid-April we began by sharing experiences and insight with the wider Rewilding Europe web – members of the supervisory board, Rewilding Europe Circle, senior management, central team and local rewilding teams. 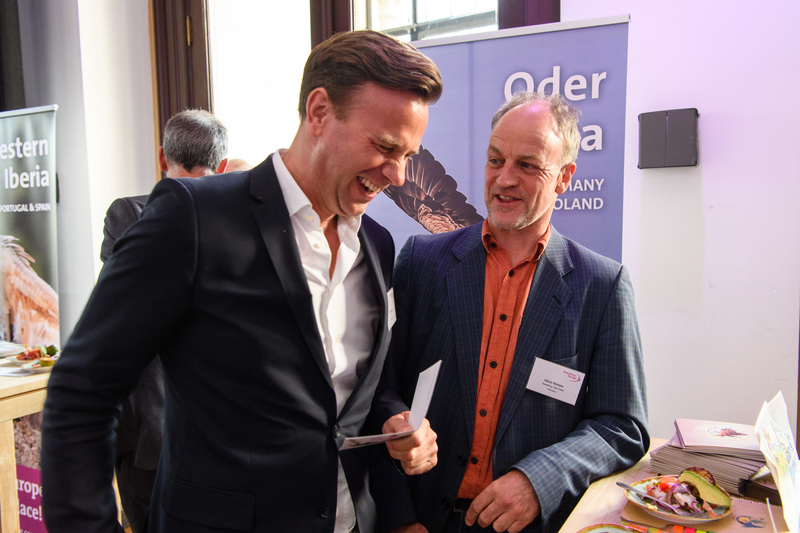 Iwona Krepic, Ulrich Stoecker and myself, who all took part in this memorable and festive event, enjoyed meeting colleagues and partners and team members of rewilding areas. Ulrich Stöcker, Team leader of Oder Delta rewilding area in Germany presenting their work at the Wild Ways event. It was particularly interesting to hear how other rewilding areas frame and apply the rewilding philosophy according to local conditions and requirements. This practical approach to rewilding means teams can deal with the very specific contexts and challenges they encounter on the ground on a daily basis. As they work to make the Rewilding Europe vision a reality, it was heartening to hear how so many team members are working together with local stakeholders to find solutions that benefit both wild nature and people. At the beginning of June we welcomed the Rewilding Europe supervisory board and central team to the Oder Delta rewilding area. This was a great opportunity for us to take a step back, present an overview of our activities, and discuss the best ways to take our rewilding-related work forward. In the Oder Delta we continue to face a number of issues and projects that threaten to negatively impact wild nature. These include the erection of wind turbines, new plans to develop shipping routes on the River Oder, the drainage of wetland areas and dyke construction, and intensive agriculture. Hiking through the vast network of marshes and meadows near Skoszewskie, we discussed these issues with our international partners, and planned for future exchange with specialists from the Netherlands. We also looked at sites for new wildlife hides, receiving valuable input from Wiet de Bruijn, Chaiman of the supervisory board, on the expectations of professional photographers. 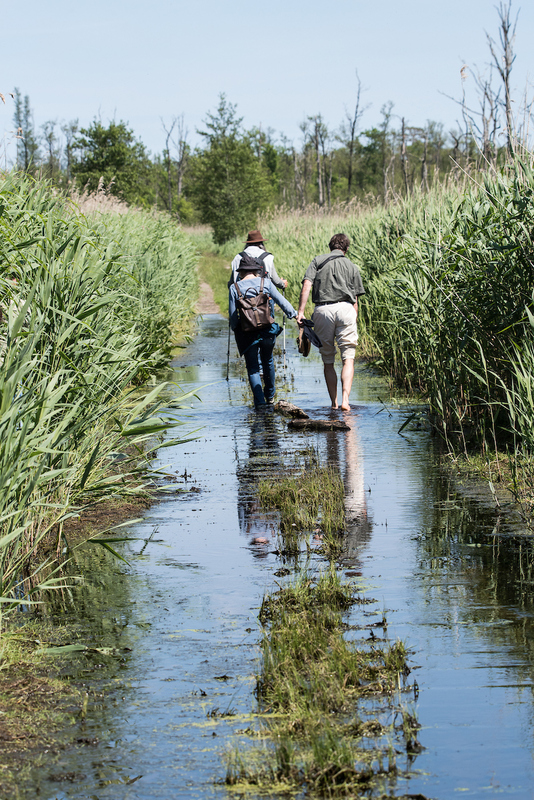 Hiking in Anklam wetlands on the German side of the Oder Delta rewilding area. Our ongoing efforts to boost nature guides in Germany (through the Leader Local Guides initiative) and within the wider transboundary area (via a network of nature guides) were also discussed. One exciting development is that safari trips to the Polish side of Oder Delta are now included in the European Safari Company portfolio. Together with Ilko Bosman, Executive board member, we also talked about leveraging opportunities within our fishery management initiative, and ways that we might empower local groups of fishermen through Rewilding Europe Capital. This visit included a long and memorable boat trip from Stepnica to Altwarp. With board members crossing a large stretch of lagoon, it was a great way to experience the character (and imposing weather!) of the Oder Delta. Near Altwarp and its inland sand dunes the group discussed the issue of natural grazing, exchanging experience and insight from Spain, the Netherlands and Germany. As a result time was running late as we headed to the Anklam wetlands for a guided tour (the guide’s interesting Facebook page can be viewed here). Enduring the attention of the local mosquito population, we encountered probably the biggest white-tailed eagle nest of the entire lagoon. 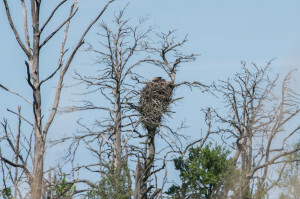 White-tailed eagle nest spotted in the Oder Delta lagoon. The group narrowly missed spotting a beaver, with only a telltale trace of bubbles left by the elusive animal. In this area beavers seem to amicably coexist in close proximity – at one point we saw three beaver lodges located right next to each other. Also memorable were trails left by foam cicada, looking as if someone had walked in front of us spitting every metre. That evening we headed to Bauer Berg, in the northwestern part of the delta, where a delicious barbecue awaited us. Up early for a solar-powered boat ride on the River Peene the following day, the group enjoyed a fitting finale to the trip, with abundant birdlife and more signs of beaver activity. We finished at the headquarters of our partners from Abenteuer Flusslandschaft, where we crystallised our next steps with the benefit of more feedback from the central team and supervisory board. Even the non-ornithologists among the group had enjoyed a thrilling and highly productive couple of days, and we hope to welcome everyone back again in the near future!